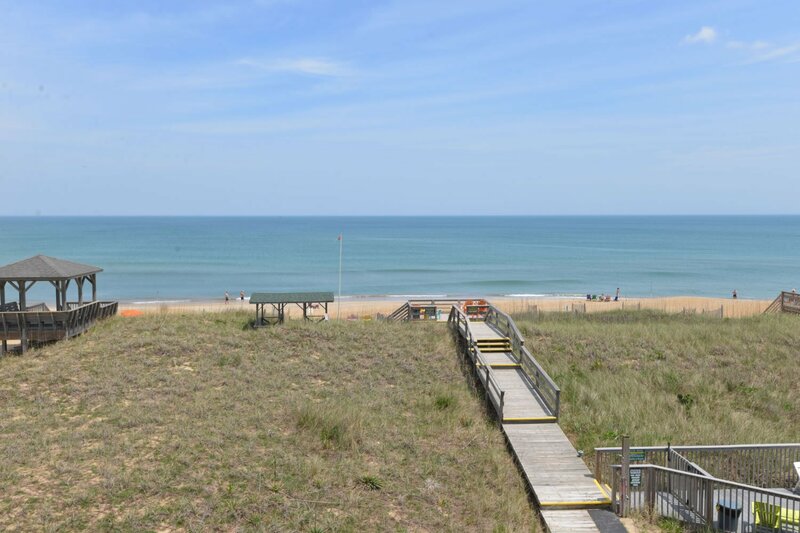 Dolphin View is a Top Floor Oceanfront Unit in the Gulfstream Condominium featuring Fabulous, Panoramic Ocean Views, Two Decks for Enjoying the Ocean Breezes, a Community Pool, Dune Deck & is within Walking Distance of the Wright Brother's Memorial. 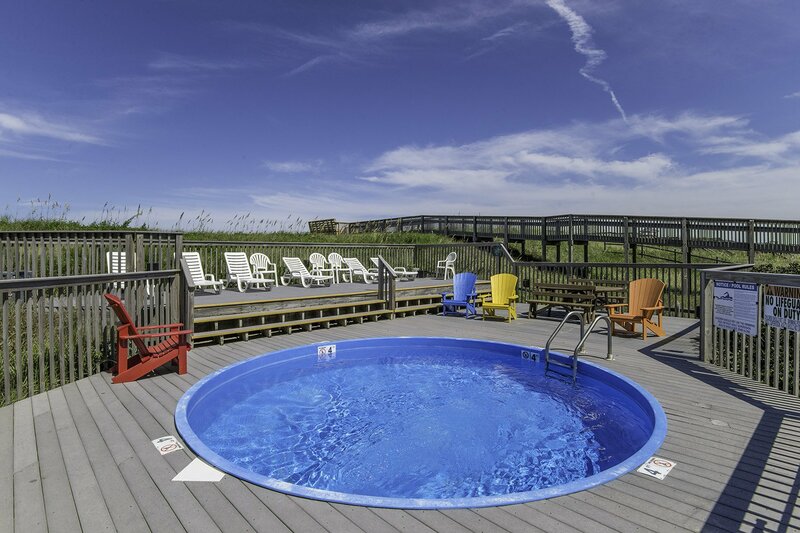 Very comfortable for a relaxing Outer Banks vacation! 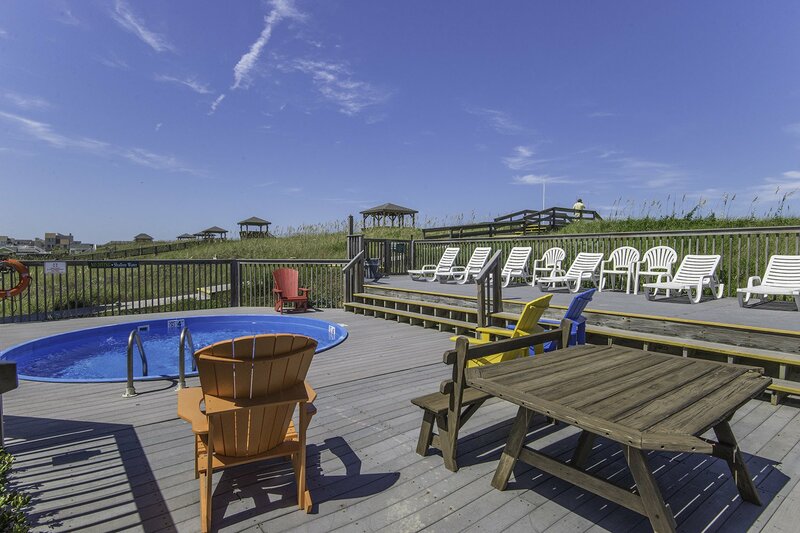 Ground Level: Parking Lot, Community Pool w/Pool Furniture, Sun Deck w/Deck Furniture, Walkway to Beach, Dune Top Deck w/Steps to Beach, Cargo Lift, Community Picnic Tables, & Community Charcoal Grills. 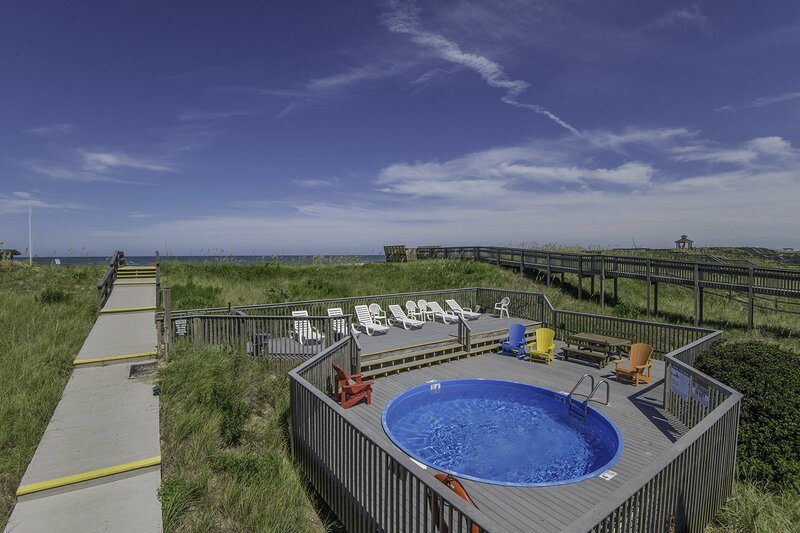 Main Level: Living/Dining/Kitchen Area, Flat Screen CATV w/HD Cable, DVD, Stereo, 3 Bedrooms (Oceanfront Master Suite w/King, Flat Screen TV, DVD, & Full Bath w/Shower, 1 w/Queen, Flat Screen TV, & DVD, & 1 w/2 Singles, Flat Screen TV, & DVD), Full Hall Bath, Laundry Area, & 2 Sun Decks w/Captains Chairs, Tables, & Beautiful Ocean Views. 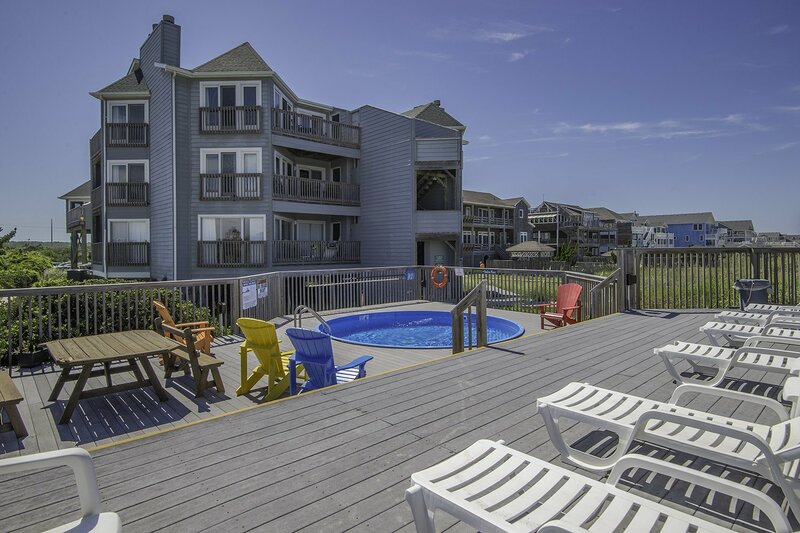 Features Include: C/AC & Heat, Washer/Dryer, Dishwasher, Phone, 4 TVs, 4 DVDs, DVD Library, Board Games, Books, Wireless Internet, Stereo w/CD, Ceiling Fans, Baby Equipment (High Chair & Pac-n-Play), Beach Chairs & Beach Toys. No Pets. This is a Non-Smoking Unit. 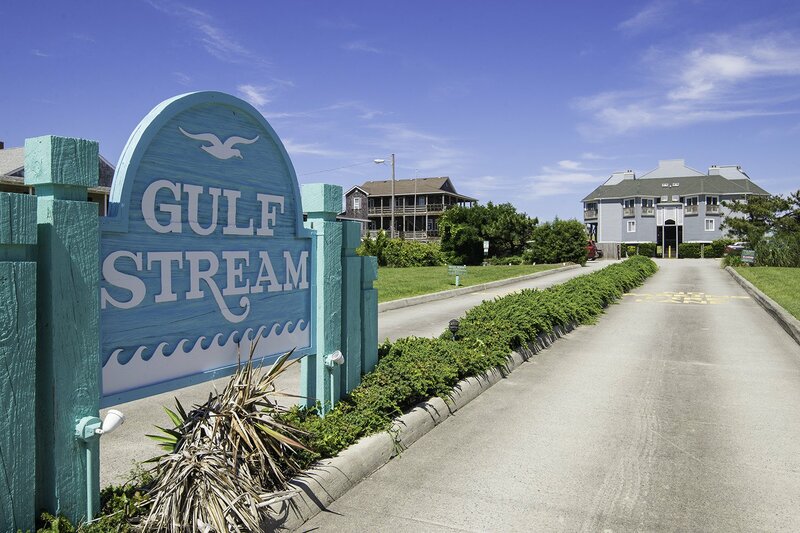 To see more about Gulf Stream visit their information page. We had a wonderful vacation. The condo was very nice, and comfortable for our family of 4. We enjoyed the beautiful view, and being so close to the beach.. We would definitely return and recommend to others. The condo is perfect and the views were spectacular. We've been to OBX 17 times and this was one of my favorite homes. Very tastefully decorated. There is no elevator, however, that is not directly related to the owner, but rather the association. The house was well-stocked with appliances, etc. Loved the condo! Will definitely be back in 2 years! The decor of the house was beautiful, the kitchen and master bedroom was amazing. Don't hesitate reserve today. I'm planning on reserving in the fall. We loved our week in this comfortable, well-equipped condo! Views are beautiful and the location feels private, yet is very central to everything. The property is in great condition. Kitchen supplies - dishes, pots and pans, etc. were VERY abundant. Just a great relaxing week; not lacking anything. We just stayed for a week in GS300 Dolphin View and loved our time there. Somehow is completing the survey form I missed that I was supposed to put my sharable comments there. If possible, can you add this to the comments about the unit. \Our time at Dolphin View was wonderful even though we didn't see the dolphins this week. But the views were so magnificent that we didn't mind and we were able to watch the edges of Hurrican Joaquin as it stayed far enough out to sea. The kitchen had everything we needed and I loved being able to see the ocean while I was cooking. I was impressed with all the books and puzzles and DVDs that are on the shelves.....many books I've already read and some that I've wanted to read for a while. We've already booked the unit for next year and are hoping to possibly return more than once each year.\""
The home had all the right touches and \stuff\". I didn't need to use hardly any of the \"stuff\" that I usually carry with me to rental homes \"in case. We totally love it and will be back next year." This was a very nice condo, with a great location. The home was decorated nicely, and had great views. It's a wonderful condo that we've stayed at for 2 years now. We hope to be back in the future. Love the amenities for the kids (floats, sand toys, high chair etc). 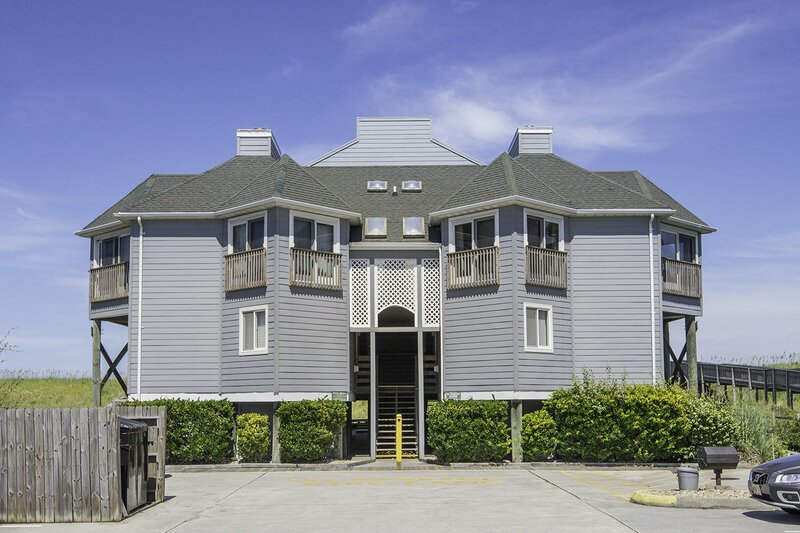 This clean, bright, comfortable condo was extremely enjoyable. It's central location makes it ideal for chillin at the condo or adventuring in the vicinity. Thanks for a great vacation. This condo offers super ocean views and easy access to the pool and beach. 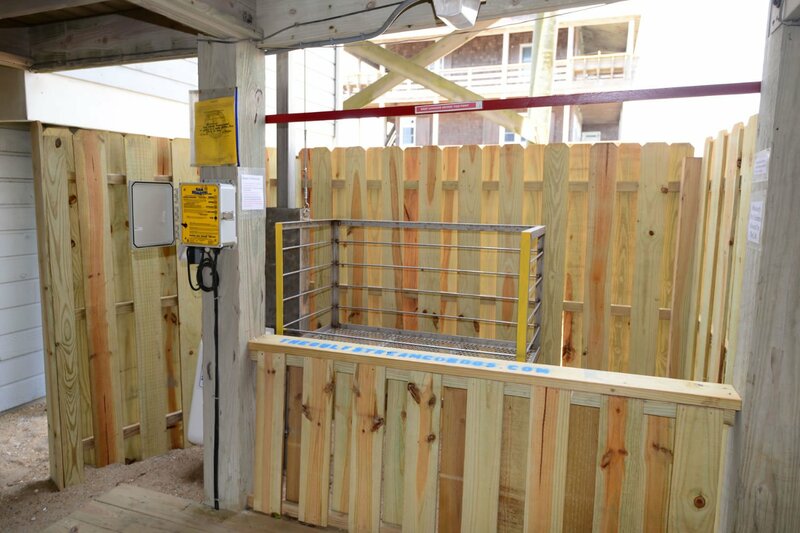 The unit has high deck chairs so you can easily see the ocean without having the deck rails block one's view. The luggage lift is a life-saver especially since this condo is on the top floor. The kitchen is nicely stocked and the center island provides extra prep and sitting space. The living area was spacious and comfortable. The sofas and chairs were clean. The bedrooms were a nice size and all beds were reported to be comfortable. This condo is convenient to restaurants, activities, and shopping. The condo has 8 units total so it was quieter than a large complex. Parking was ample but is first come, first serve. Would likely return to the condo in the future. 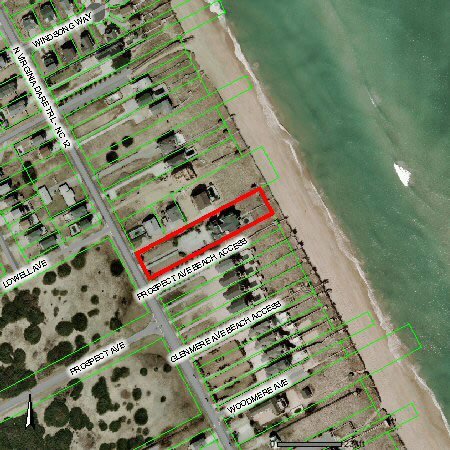 Great location and access to beach. Beautiful home. Perfect location, size and comfort for our family. Thank you! We had a wonderful week of vacation! GS 300 was a great place to stay. Very user friendly and the kitchen was great. The unit included everything one would need to start a great vacation. The views and convenience to the beach were perfect. I would recommend this rental property to anyone. Very clean. Great location and fully equipped with all kitchen needs.